Germany's "fat years" of windfall tax receipts are over, according to Finance Minister Olaf Scholz, reports DW. 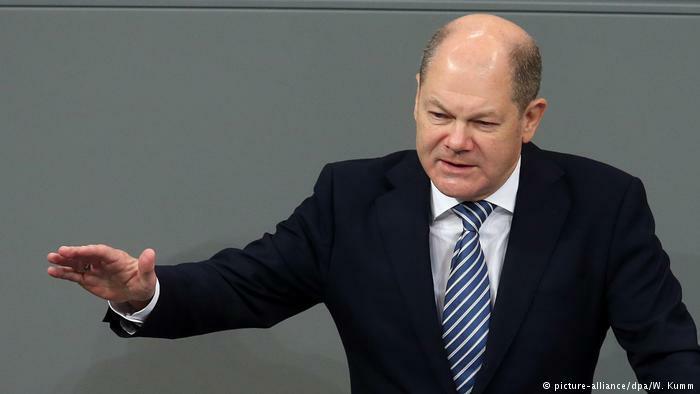 "The good times in which the state kept taking in more taxes than expected are coming to an end," said Scholz in a Sunday warning published in the Bild am Sonntag newspaper, raising concerns over the future of Europe's largest economy. The reduced income will leave the German government unable to pass new tax cuts or increase public investment, Scholtz added. The German government has spent less than it has received in tax revenues in every fiscal year since 2014 as a result of strong economic growth, high wages and record-low unemployment. Scholz, a Social Democrat (SPD), cited the predicted fall in tax revenue as a reason for why he opposed abolishing the "Solidarity Surcharge," a controversial tax designed to help finance development projects in eastern states that were part of communist East Germany. 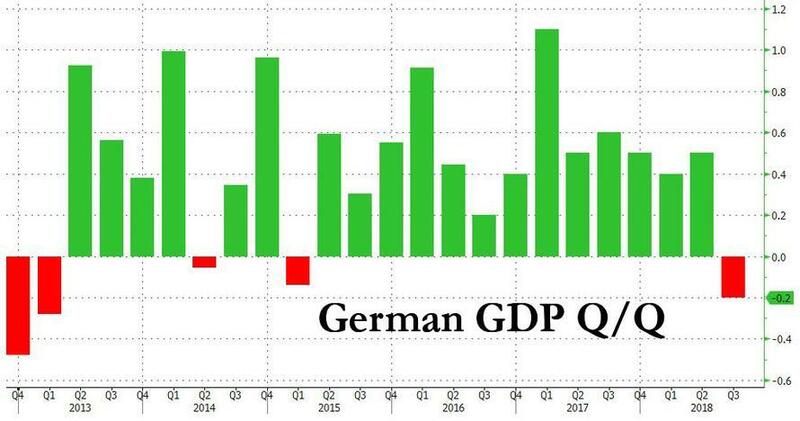 As we noted in November, the German economy stumbled in the 3rd quarter, shrinking for the first time in three years. In response to the contraction, the government cut its growth forecast to 1.5 to 1.6 percent for 2018, down from 2.2 percent clocked in 2017. A slowing German auto industry, ongoing trade tensions between the United States and China and uncertainty over the impact from Brexit are all contributing to the slowdown - which Scholz has committed to adapt to by scaling down and balancing Germany's federal budget. Scholz, who succeeded veteran CDU finance chief Wolfgang Schäuble in early 2018, has vowed to uphold his predecessor's "black zero" policy of maintaining a balanced federal budget. Meanwhile, Germany is now trying to bribe migrants to return home to their countries of origin - offering to pay a year of their rent back home. Considering the 78 billion Euros Germany expects to spend on migration-related issues through 2022, perhaps sending them home will aid Scholz in his budget-balancing endeavors.